Gould ACQ-7700 Acquisition Interface Signal Conditioner 77-0800-10 13-7715-58 . New Life Scientific, Inc. This Gould ACQ-7700 Acquisition Interface powers on and is in good cosmetic condition with minor wear and age. 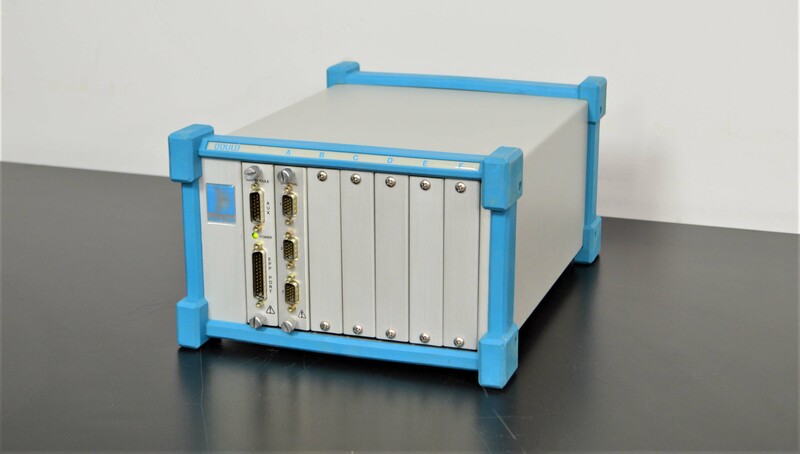 This ACQ-7700 comes with an EPP interface card and 3-channel universal signal conditioner installed. This system operates with the PONEMAH Physiology Platform, using the Gould P3 Plus software to optimize real-time monitoring, acquisition, review, and analysis of physiology signals. Please contact the manufacture about pricing and availability of this software. Our in-house technician inspected and powered on this Gould ACQ-7700 Acquisition Interface, confirming the interface to power on normally. No further testing could be done.